FRIDAY, June 8, 2018 (HealthDay News) -- There's little public support for two strategies to reduce opioid users' risk of infections and overdoses, a new U.S. study finds. 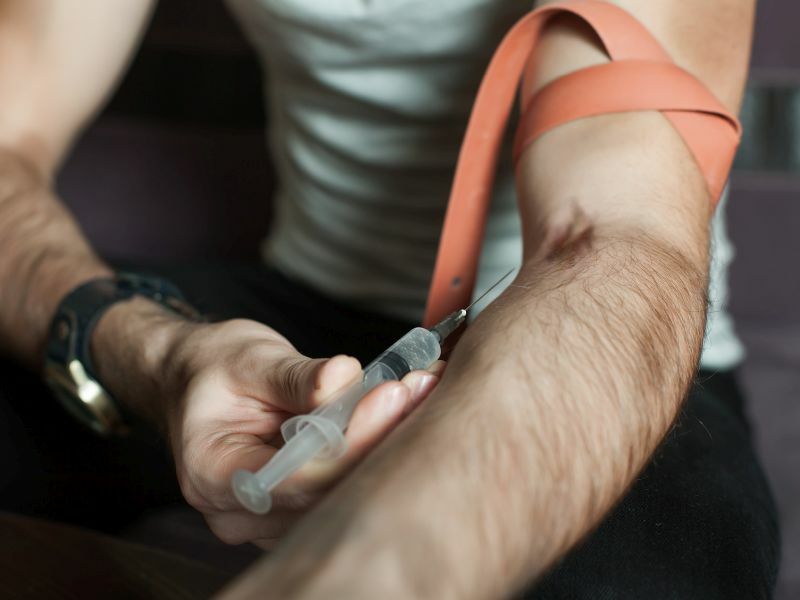 Researchers asked more than 1,000 adults their views on safe injection sites and needle exchange programs, both of which have been shown to lower the risk of overdoses and transmission of HIV and other infectious diseases. Only 29 percent of respondents supported legalizing safe injection sites in their communities, and only 39 percent supported legalizing needle exchange programs in their communities. Those with negative views about these strategies also tended to have very negative views of opioid users, the study authors found. "These results suggest that we need to reduce stigma toward people who use opioids and do a better job educating the public about why these strategies work," study author Emma McGinty said in a Johns Hopkins news release. She is an assistant professor in the department of health policy and management at the university's Bloomberg School of Public Health. While there is little public support for these strategies, research has shown that they could help reduce the public health burden from the nation's opioid epidemic. The researchers noted that while attitudes did not differ much by age, race or gender, there were significant differences depending on respondents' political views. Only 18 percent and 30 percent of Republicans favored safe injection sites and needle exchange programs, respectively, in their communities, compared with 39 percent and 52 percent of Democrats, the findings showed. The researchers said they are now trying to determine how to design information campaigns to increase public support for the strategies. The study appears in the June issue of the journal Preventive Medicine.